Scenes from the CAA men's basketball quarterfinals where Hofstra defeated James Madison, 76-67, at the North Charleston Coliseum in North Charleston, S.C. on Sunday, March. 10, 2019. 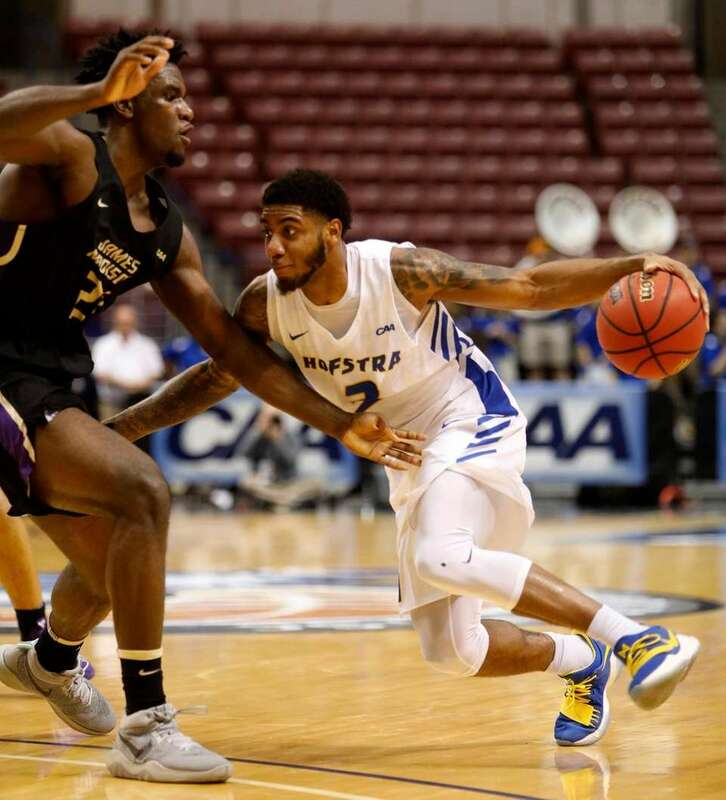 Hofstra's Tareq Coburn, at right, goes up for a shot against James Madison's Greg Jones, at left, during the CAA men's basketball quarterfinals at the North Charleston Coliseum in North Charleston, S.C. on Sunday, March. 10, 2019. Hofstra won 76-67 to advance to the semifinals. 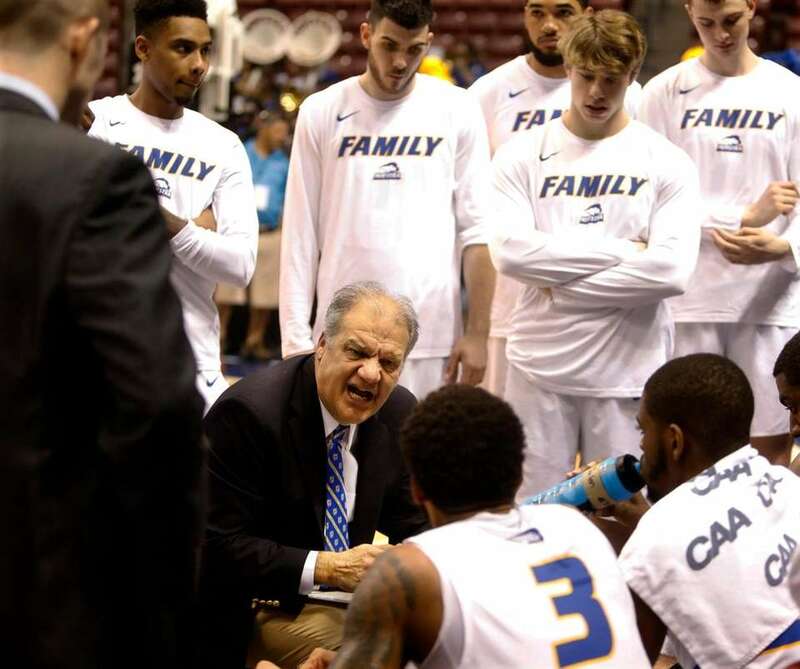 Hofstra's head coach, Joe Mihalich, speaks to his players during a timeout against James Madison during the CAA men's basketball quarterfinals at the North Charleston Coliseum in North Charleston, S.C. on Sunday, March. 10, 2019. Hofstra won 76-67 to advance to the semifinals. 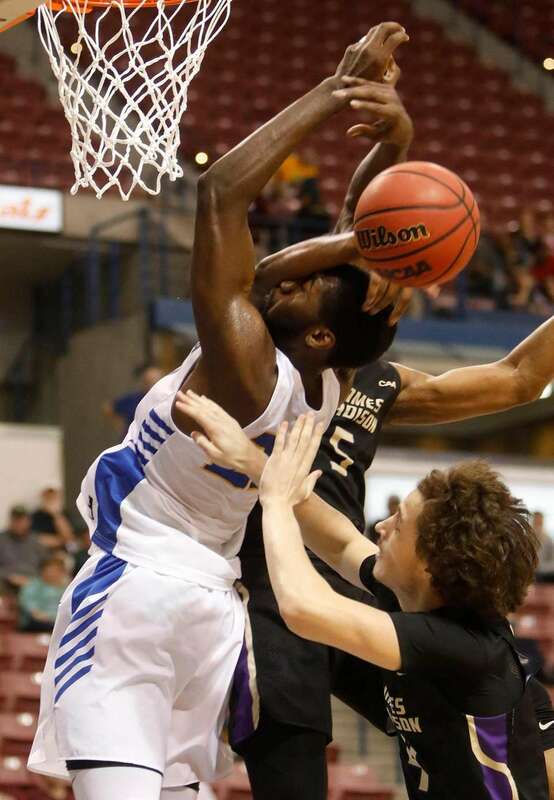 Hofstra's Jacquil Taylor, at left, gets fouled across the face by James Madison's Darius Banks during the CAA men's basketball quarterfinalsat the North Charleston Coliseum in North Charleston, S.C. on Sunday, March. 10, 2019. Hofstra won 76-67 to advance to the semifinals. 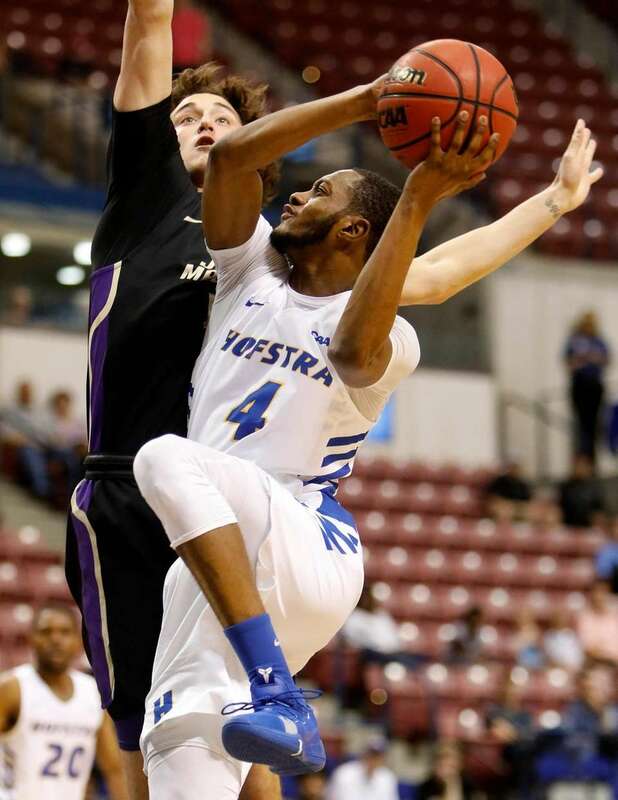 Hofstra's Desure Buie, at right, goes up for a shot against James Madison's Matthew Urbach, at left, during the CAA men's basketball quarterfinalsat the North Charleston Coliseum in North Charleston, S.C. on Sunday, March. 10, 2019. Hofstra won 76-67 to advance to the semifinals. 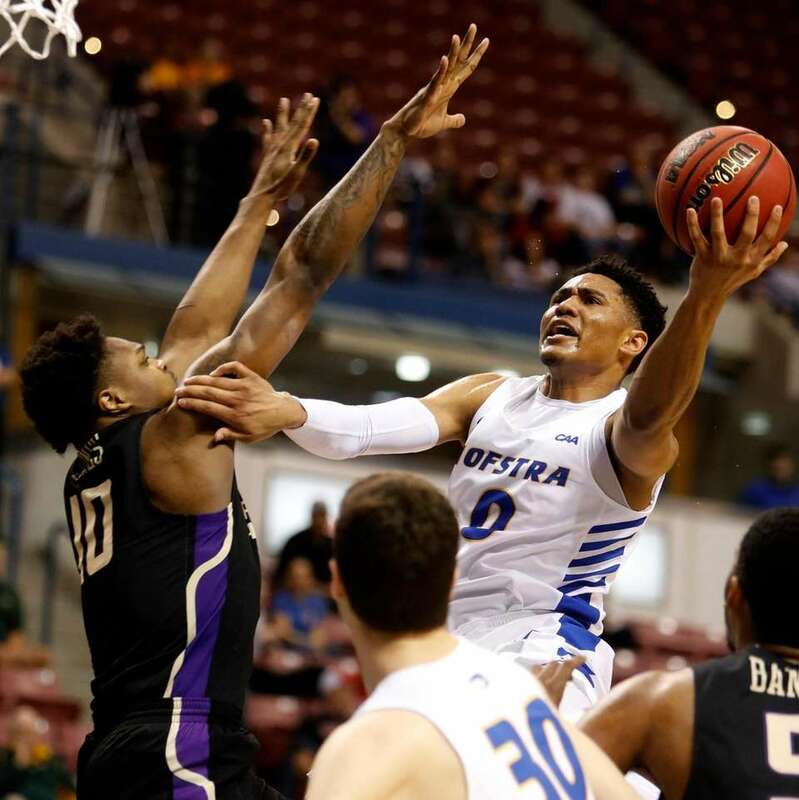 Hofstra's Justin Wright-Foreman, at right, drives past James Madison's Deshon Parker, at left, during the CAA men's basketball quarterfinalsat the North Charleston Coliseum in North Charleston, S.C. on Sunday, March. 10, 2019. Hofstra won 76-67 to advance to the semifinals. 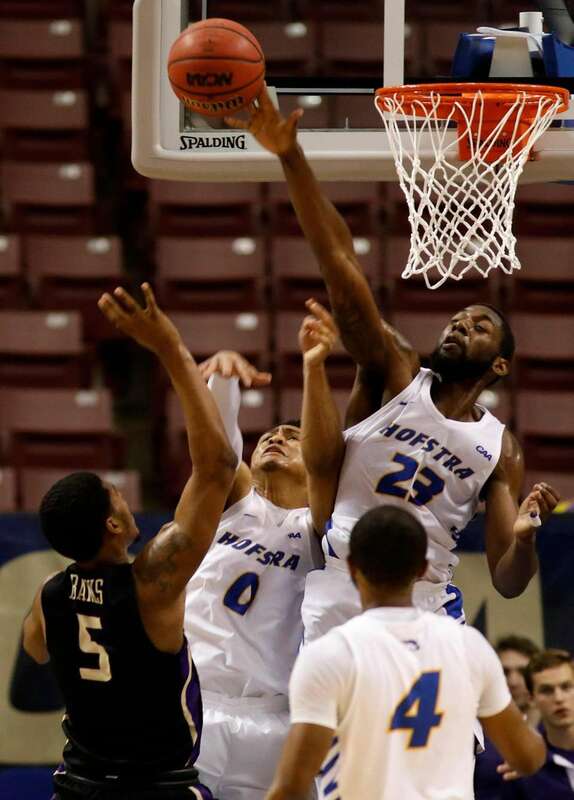 Hofstra's Jacquil Taylor (23) blocks the shot of James Madison's Darius Banks, at left, during the CAA men's basketball quarterfinals at the North Charleston Coliseum in North Charleston, S.C. on Sunday, March. 10, 2019. Hofstra won 76-67 to advance to the semifinals. 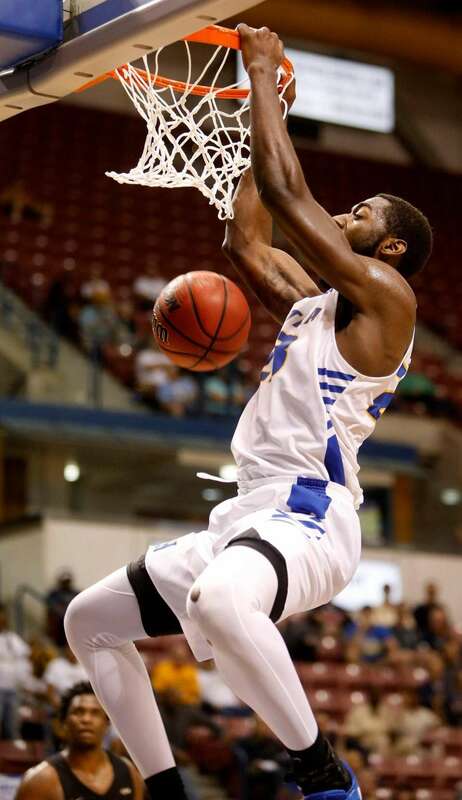 Hofstra's Jacquil Taylor dunks the ball against against James Madison at the CAA men's basketball quarterfinalsat the North Charleston Coliseum in North Charleston, S.C. on Sunday, March 10, 2019. Hofstra won 76-67 to advance to the semifinals. 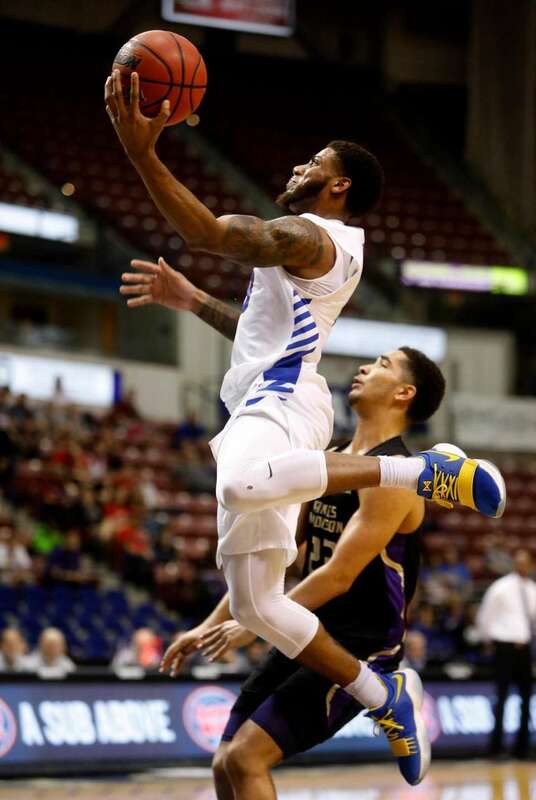 Hofstra's Justin Wright-Foreman goes up for a shot against James Madison's Deshon Parker, at right, during the CAA men's basketball quarterfinalsat the North Charleston Coliseum in North Charleston, S.C. on Sunday, March. 10, 2019. Hofstra won 76-67 to advance to the semifinals. 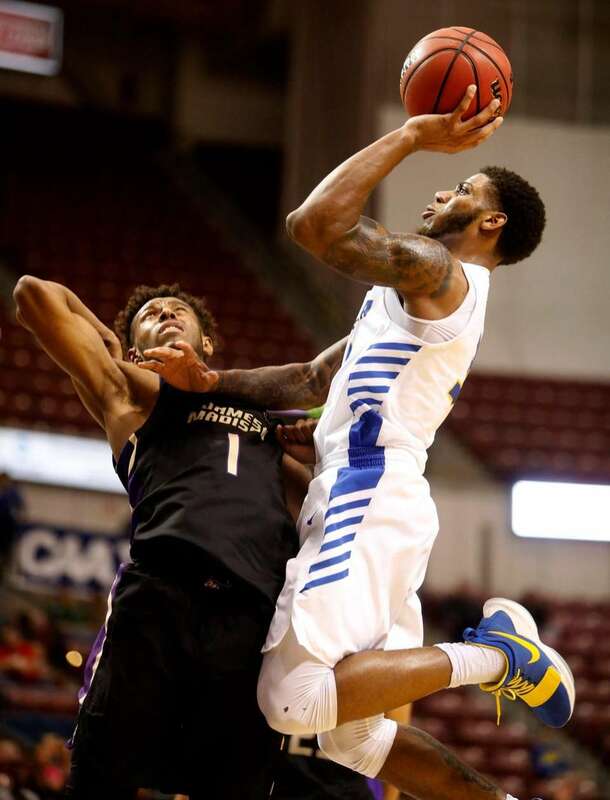 Hofstra's Justin Wright-Foreman, at right, goes up for a shot against James Madison's Matt Lewis, at left, during the CAA men's basketball quarterfinalsat the North Charleston Coliseum in North Charleston, S.C. on Sunday, March. 10, 2019. Hofstra won 76-67 to advance to the semifinals. 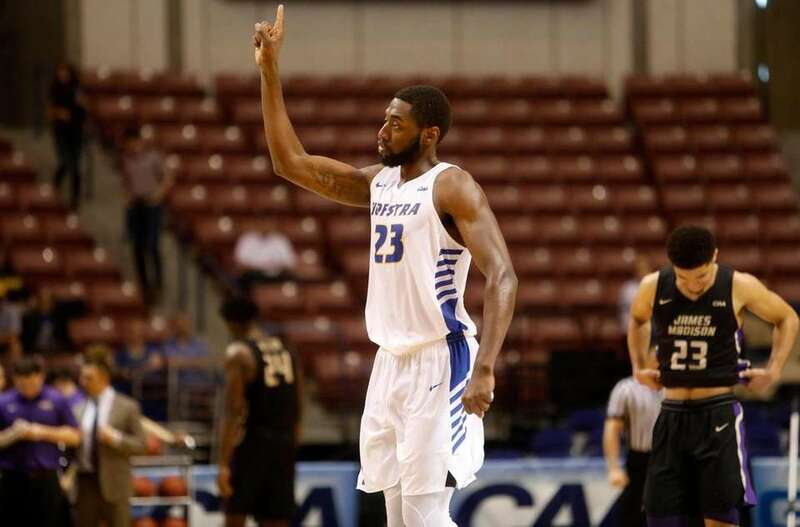 Hofstra's Jacquil Taylor celebrates knowing the game is won against James Madison during the CAA men's basketball quarterfinalsat the North Charleston Coliseum in North Charleston, S.C. on Sunday, March. 10, 2019. Hofstra won 76-67 to advance to the semifinals. 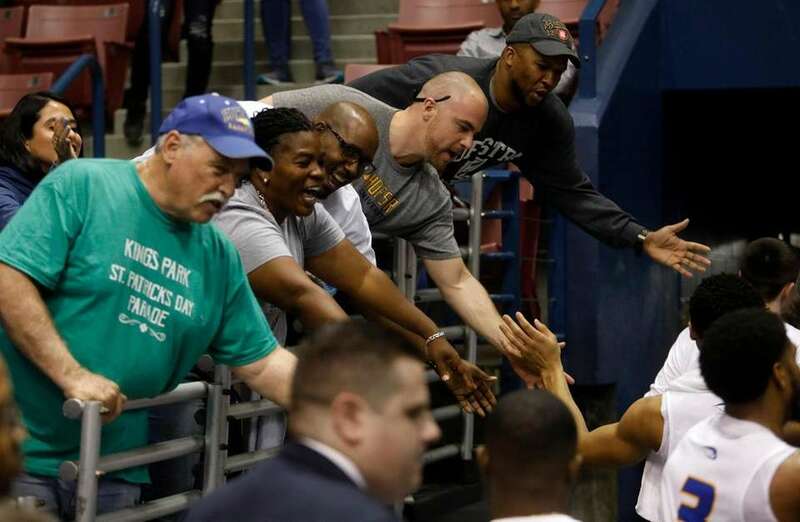 Hofstra fans celebrate after their favorite team defeated James Madison during the CAA men's basketball quarterfinalsat the North Charleston Coliseum in North Charleston, S.C. on Sunday, March. 10, 2019. Hofstra won 76-67 to advance to the semifinals. 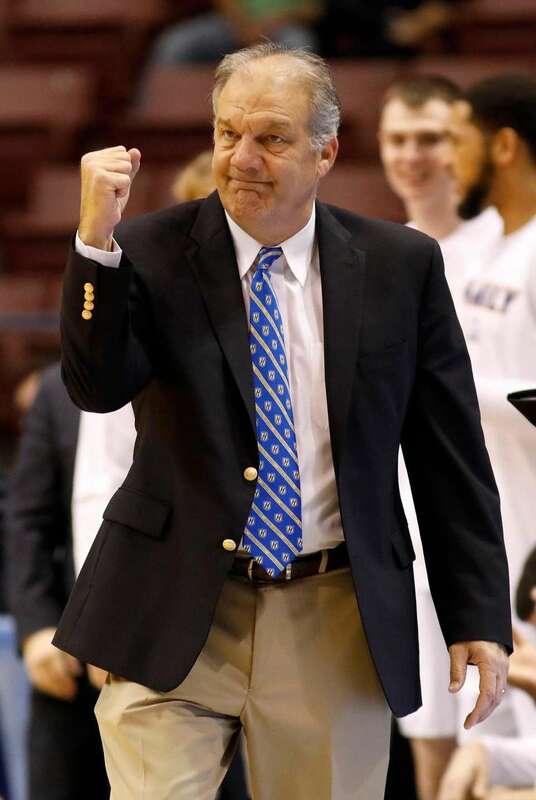 Hofstra's head coach, Joe Mihalich, pumps his fist after a good offensive play against James Madison during the CAA men's basketball quarterfinalsat the North Charleston Coliseum in North Charleston, S.C. on Sunday, March. 10, 2019. Hofstra won 76-67 to advance to the semifinals. 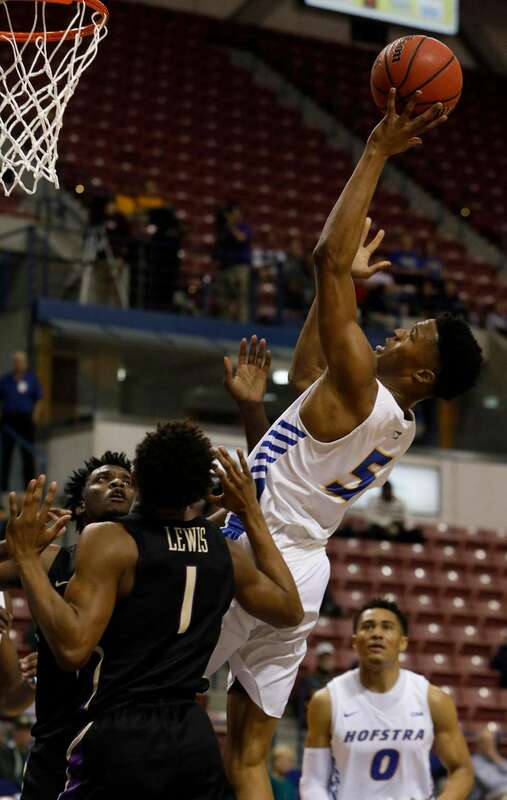 Hofstra's Eli Pemberton, at right, goes up for a shot against James Madison's Matt Lewis (1) during the CAA men's basketball quarterfinalsat the North Charleston Coliseum in North Charleston, S.C. on Sunday, March. 10, 2019. Hofstra won 76-67 to advance to the semifinals. 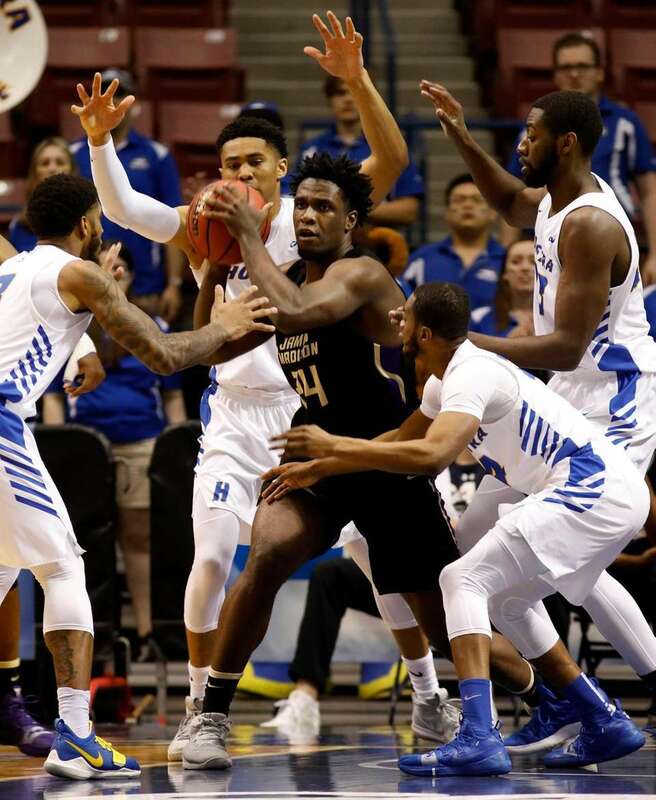 Hofstra's defense surrounds James Madison's Dwight Wilson, center, during the CAA men's basketball quarterfinalsat the North Charleston Coliseum in North Charleston, S.C. on Sunday, March. 10, 2019. Hofstra won 76-67 to advance to the semifinals.